If you buy one of the new Nexus devices – the Nexus 9 or Nexus 6 – and plan to unlock its bootloader upon first boot, so that you can get to tinkering, understand that you may have to enable the “OEM unlock” command that would typically be used to accomplish that task. 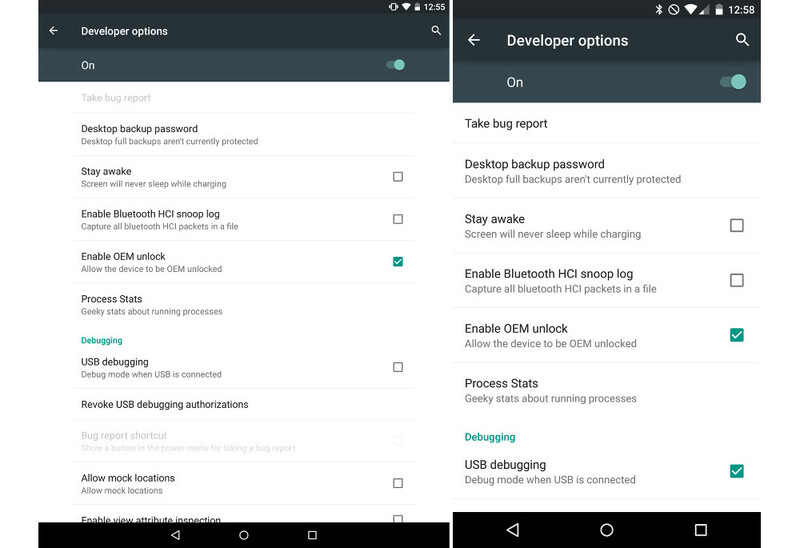 In Android 5.0 “Lollipop,” Google has added a check box under Developer Options that enables the OEM unlock command to work. If that box isn’t checked, then I would imagine you will see an error during the bootloader unlock process. Both our Nexus 6 and Nexus 9 review units came with the “Enable OEM unlock” option checked out of the box, so you may not even have to worry about it. But, to save yourself an extra reboot, head in there to confirm. And don’t forget that Developer Options are hidden by default, so you will need to make those appear as well in order to check. To get Developer Options to show, cruise into Settings>About phone, and tap on the “Build number” around 10 times until it confirms that you are now a “developer.” From there, jump back to the Settings list and you should see “Developer Options” listed. For those new to “OEM unlock,” just know that this is a part of the command used to unlock a Nexus phone’s bootloader. After installing the Android SDK, plugging your phone into a computer, opening adb, and rebooting to the bootloader, a simple command in adb of “fastboot oem unlock” will start the process of phone freedom. You can find a whole tutorial on unlocking a Nexus bootloader here.